Rings have been used as love gifts and to symbolise marriage since Roman times. Marriage rings in early modern Europe could be made in a variety of materials and forms but the simple gold band was very commonly used. 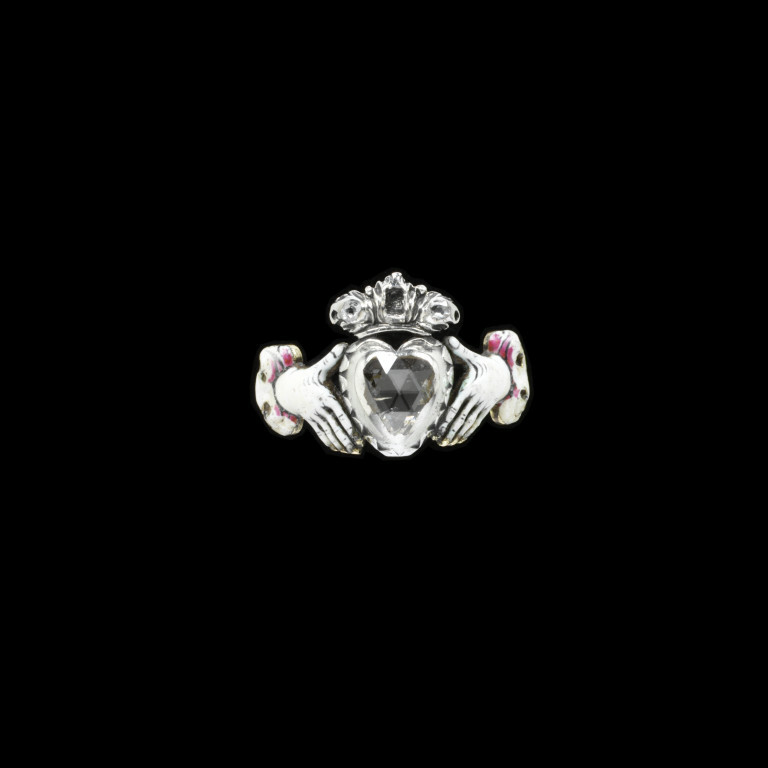 This ring is set with a large rose-cut diamond heart under a diamond crown, clasped between two enamelled hands. 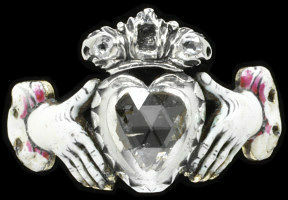 The inscription 'Dudley and Katherine united 26 March 1706' identifies it as a wedding ring. It was probably made for Dudley North who married Katherine Yale at St Peter-le-Poer, London, on the 26th March 1706. They had at least three children: Dudley (baptised 8 July, 1707), Ann (baptised 21 October 1708) and Katherine (baptised 17 August, 1712). 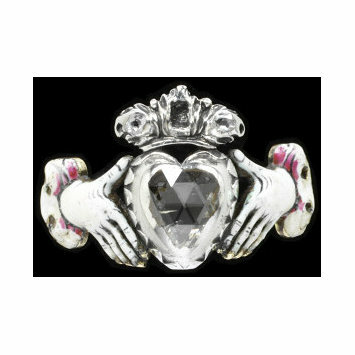 Enamelled gold fede ring, set with rose-cut diamonds in silver collets, with a crowned heart held by two hands inscribed 'Dudley & Katherine united 26.Mar. 1706', England, dated 1706.